According to former a White House aide, Donald Trump proposed an almost unlimited budget to NASA to expedite its trip to Mars. 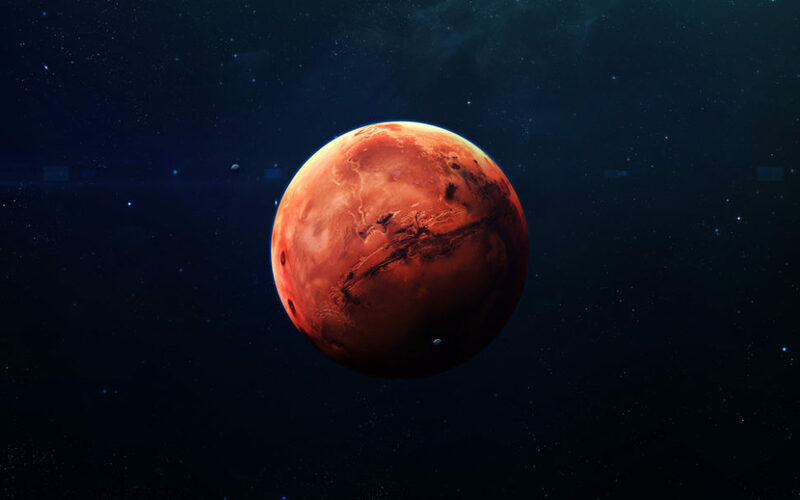 Last year, NASA got space experts and Mars fans worried after claiming it couldn’t put a date on sending humans to Mars. NASA’s reason for this is the budget which doesn’t allow it the funds to develop the necessary surface systems. But what if money wasn’t a problem anymore? Could the agency do it fast enough for President Trump’s liking? “Team of Vipers: My 500 Extraordinary Days in the Trump White House” is the latest in a string of books about President Donald Trump. In this tell-all memoir, Cliff Sims, former communications official at the White House, gives an inside look at the West Wing and the inner workings of the Trump Administration. In his Moon to Mars directive to NASA, President Trump prioritized the Moon as a destination over Mars. But apparently, the president has changed his mind. Now he wants NASA to proceed first towards Mars. While the 384-page book is filled to the brim with some absurd anecdotes, one particular passage reveals how Trump is unrealistically chasing glory. According to Sims, President Trump proposed “unlimited funds” if NASA could send its astronauts to Mars by 2020. Or, in other words, by the end of his first term. Peggy Whitson is the American astronaut who has accumulated the most time in space at 534 days. Sims recounts a scene in the Oval Office when, in April 2017, Trump, flanked by several of his aides, called Whitson in the ISS to honor her achievement. “Tell me, Mars, what do you see a timing for actually sending humans?” Trump asked. The president doesn’t recall the directive he had signed a month earlier, and which set target dates for sending a rover to Mars (2020) and then a manned mission (in the 2030s). Whitson reminded him of this. “Well, I think as your bill directed, it’ll be approximately in the 2030s,” she said. Then NASA administrator Robert Lightfoot Jr. had to explain to the president how challenging it is to reach Mars as fast as he wished. Even with Trump’s unlimited budget, space experts say it’s impossible for NASA to put humans on Mars during the Trump presidency. If President Trump wants NASA to speed up its Mars plan, he isn’t really helping with the government shutdown over his border wall. The longest shutdown ever in U.S. history that has just ended caused 95% of NASA manpower to be furloughed. Any government closure halts the development of space missions and may push NASA engineers to switch to private companies.